Vehicle Cradle Gen2 w/ 2-USB Locking, 1-RS-232, 1-Power, Integrated 10V~60VDC/DC Converter w/Power Filtering (Does not include Power Cable, 12'' W/5A Fuse & Bare Leads). $1,500 minimum on every DLI order. 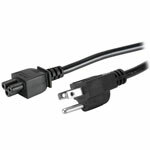 Desktop Cradle Gen2 w/ 3-USB, 1-Ethernet, 1-RS-232, 1-VGA, 1-Power, Requires AC Adapter with/Country-specific power cord. $1,500 minimum on every DLI order. Single Bay Battery Charger, (Requires AC Wall Adapter with country-specific power cord). $1,500 minimum on every DLI order. Power Supply, Surge Supressor (Required for forklifts running 24V or higher systems). $1,500 minimum on every DLI order. AC Wall Adapter (Requires US, EU, UK Power Cord below). $1,500 minimum on every DLI order. Screen Protector (A/R / Anti-Smudge Finish). $1,500 minimum on every DLI order. Screen Protector (Matte Finish). $1,500 minimum on every DLI order. Payment Module: Sled for e355 (Does not include e355). $1,500 minimum on every DLI order. Payment Module: 2D Imager with Holder for iCMP (Does not include iCMP). $1,500 minimum on every DLI order. Payment Module: Holder for iCMP (Does not include iCMP). $1,500 minimum on every DLI order. 9000 Accessory, Replacement Stylus. $1,500 minimum on every DLI order. Power Cable, 12'' W/5A Fuse & Bare Leads. $1,500 minimum on every DLI order. RES, 3 OHM, 1 %, 50W, RoSH Compliant. $1,500 minimum on every DLI order.